Powerful, rare-earth neodymium magnets to hold knives in securely in place. Our Magnetic Knife Holder securely holds all types of knives. The sleek design conceals powerful, rare-earth neodymium magnets to hold knives in place. 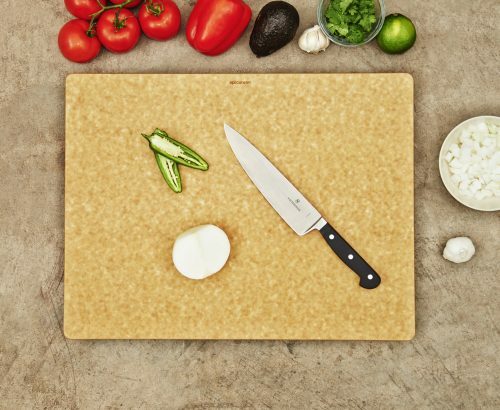 Crafted from our knife-friendly signature wood composite, the surface will not scratch or dull blades like traditional metal knife strips. 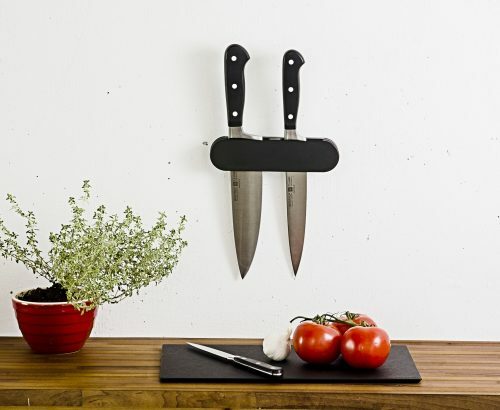 This knife strip easily attaches to the wall with included screws and wall anchors. The Magnetic Knife Holders are made using 3/4 inch material.